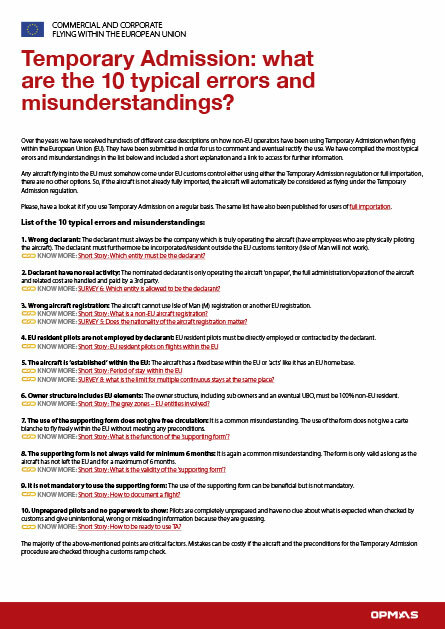 We have compiled the most typical errors and misunderstandings in the list below and have included a short explanation and a link to access for further information. These short stories are meant to only focus on important subjects with the use of short statements in order to give the reader a quick overview. Temporary Admission is only for entities established outside the EU and comes with some limitations. 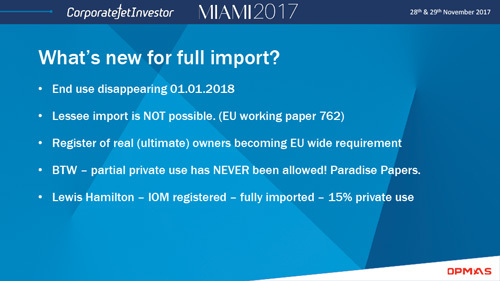 Full importation is mainly for EU-established entities, grants free circulation for the aircraft and offers a lot of privileges but also a lot of potential liability and includes procedures which continuously must be handled correctly. 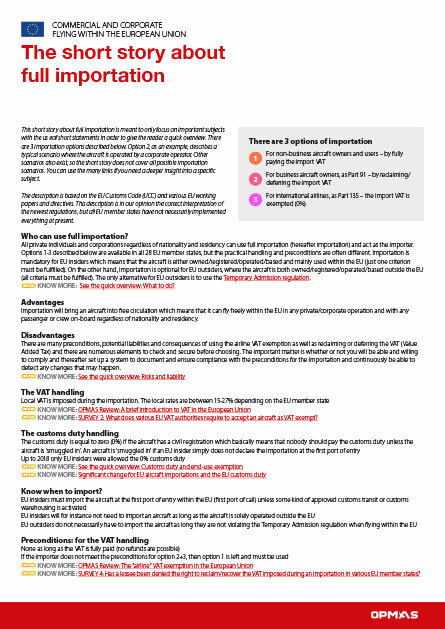 Gives you an overview and a deeper insight in aircraft importation and admission in the European Union. 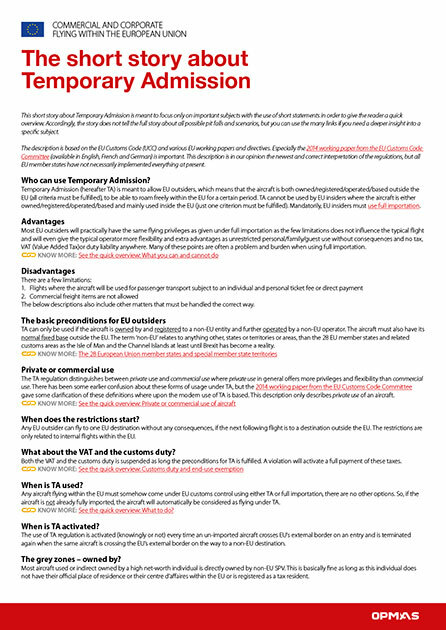 We have again made an updated version of our review regarding importation and admission. 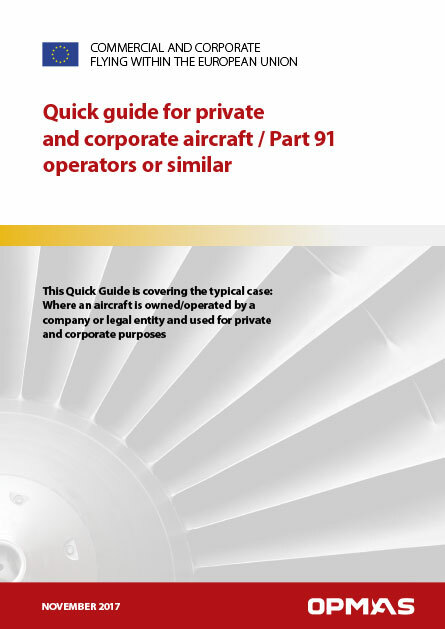 The Quick Guide covers the typical case where an aircraft is owned/operated by a company or legal entity and used for private and corporate purposes. 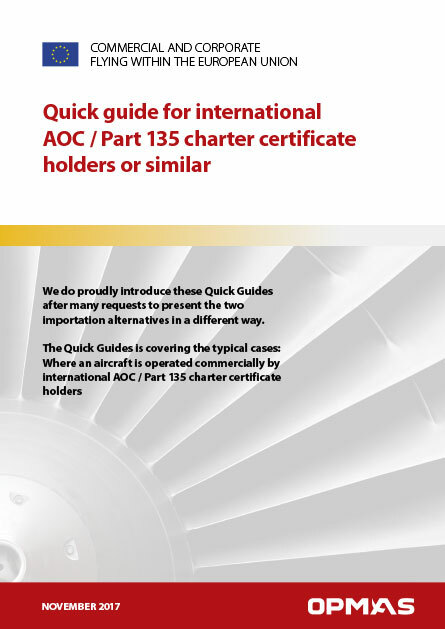 The Quick Guide covers the typical case where an aircraft is operated commercially by international AOC Part 135/ charter certificate holders. 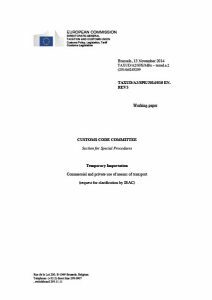 This working paper was made by the EU Customs Code Committee on request from IBAC/NBAA in order get clarification about the usage of Temporary Admission within the EU. 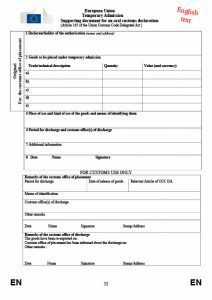 The form is on page 32 in the English version. 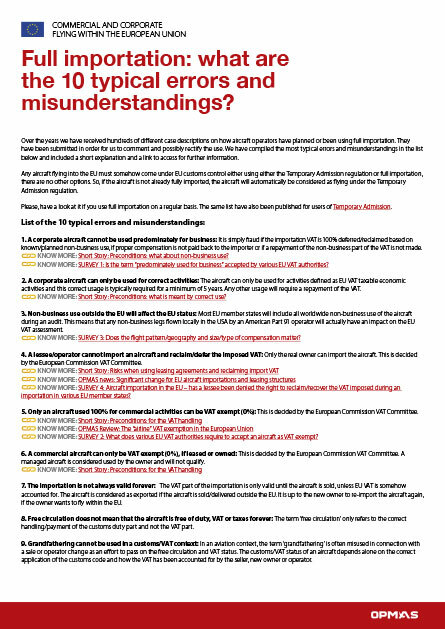 Lasse Rungholm was speaking about: Why is it so difficult to fly to the EU? What are the options? 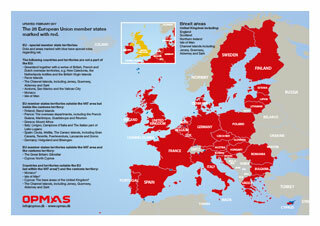 Click on the image to download PDF of detailed map including Brexit areas.